See, Love, Help the World! It’s so easy to get caught up in my everyday life and I often forget about everyone else. I used to hate the world and everyone in it because people can be so cruel. One day I had a eureka moment and realized I need to love not hate. This is something I knew but it never fully registered. I was so focused on how I felt and how events affected me that it blinded me from seeing the bigger picture. Now I work on learning how I can help, encourage, and love everyone across the world, especially in my personal life. 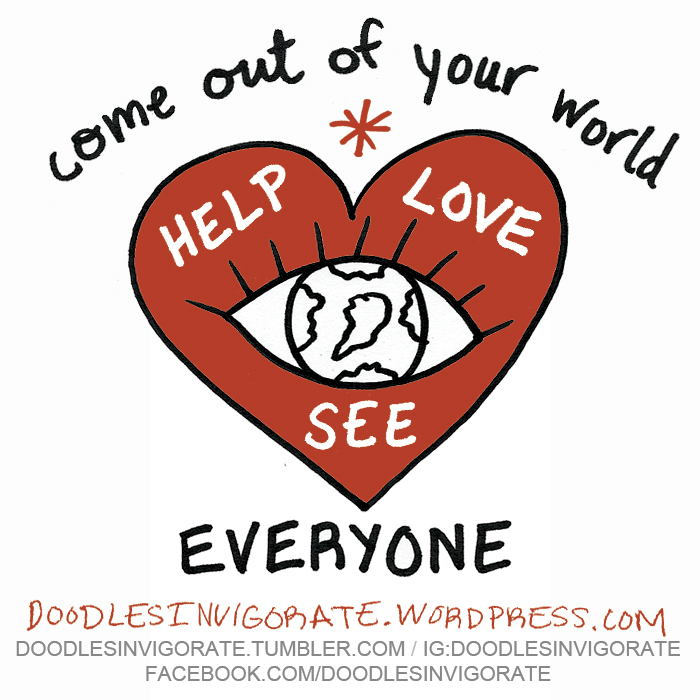 See, love, help the world!